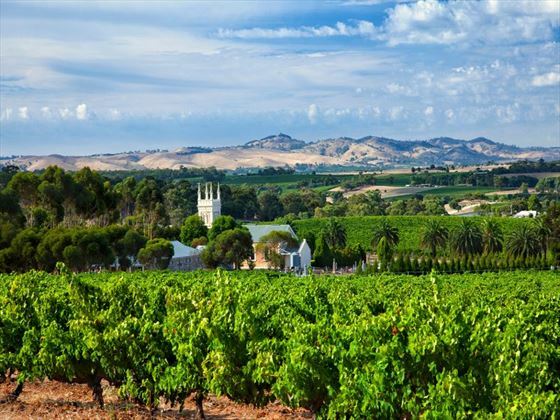 Starting in Sydney and ending in Adelaide, you’ll have ample opportunity to taste all of the amazing cuisine South Australia has to offer, all with a remarkable backdrop of unspoilt beauty. From the magnificent Great Ocean Road and Kangaroo Island, to the bustling cities of Canberra and Melbourne, you’ll need your camera ready at every opportunity. There’s many fantastic activities on offer too, including climbing to the summit of Mt Ainslie, walking alongside sea lion at Seal Bay, and great city tours (AA). Please note this tour will require pre accommodation in Sydney as it departs at 7:30am from Rydges World Square. After meeting your fellow travellers, you will journey to Canberra via the marvellous Southern Highlands. Along the way you will stop at Berrima, well-known for its gaol and early colonial architecture, as well as Gold Creek Station to meet local sheep farmer Craig Starr. You’ll experience a little taste of farm life before meeting again with Craig and his family for an authentic Aussie BBQ lunch. Afterwards, you’ll arrive at Canberra and embark on a tour through Parliament House with a local guide, before visiting the Australia War Memorial to hear the Last Post. The evening is your chance to get to know your Travel Director and fellow travellers over a tasty dinner. An early morning start sees you visiting the summit of Mt Ainslie for a phenomenal view of the city, before travelling over the Murray River into Victoria and on to historic Beechworth – Victoria’s best-preserved gold rush town. There are plenty of fantastic photo opportunities here, including snow-shrouded mountains, sparkling lakes, and expansive ranges adorned with trees. An orientation tour around Beechworth will be a great way to learn more about its history, and then you’ll have some free time to explore the quaint attractions at your own pace. We’d recommend heading to Hotel Nicholas for a hearty pub dinner this evening. 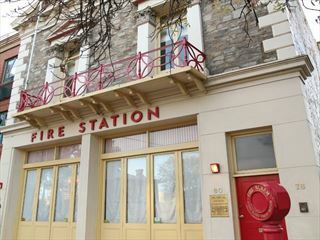 Built in 1857 during the gold rush days, this hotel is filled with wonderful memorabilia. 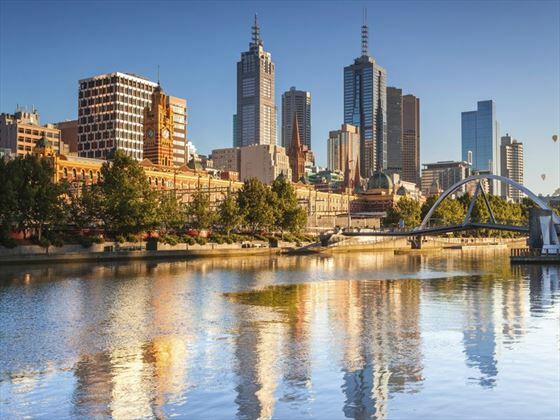 In the morning, you will join your B&B host for a Be My Guest breakfast, before hopping back on the coach and journeying through Glenrowan and Ned Kelly country all the way to vibrant Melbourne for a sightseeing tour. The rest of your day and evening will be at your leisure. 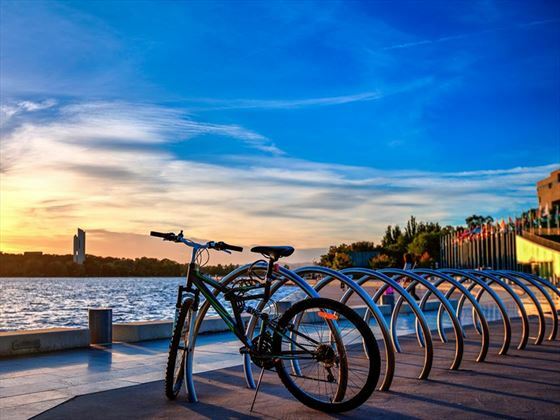 We’d recommend taking a leisurely walk along the Yarra River, and trying out one of the fantastic restaurants at Southbank. Day four will also be free for you to explore Melbourne at your own pace. There are plenty of activities you could enjoy during your stay, including Eureka Skydeck for phenomenal views of the city, or a Hunt & Gather Food Tour of Queen Victoria Market is perfect for avid foodies. Want to try some of the city’s best restaurants? Take a wander down the city’s famous hidden laneways. Breakfast included on both days. Today you will embark on one of the world’s greatest road trips – the Great Ocean Road. Stopping by the charming towns of Lorne and Apollo Bay, visiting the impressive Twelve Apostles and discovering Loch Ard George and London Bridge, there are so many opportunities to get a brilliant photo. Day six will begin with a visit to Worn Gundidj at Tower Hill State Game Reserve – once a rich food source for the Koroit Gundidj people. The guided tour here is a fascinating one, delving you into an Aboriginal perspective about flora, wildlife, volcanic formations and medicinal practices. 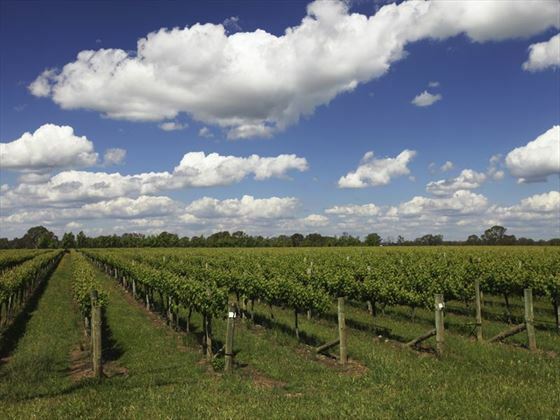 You’ll then continue into Mt Gambier to see the beautiful Blue Lake, before journeying to the famous Coonawarra wine region for a remarkable wine tasting tour around Brand’s Laira vineyard. This picturesque vineyard’s vines were planted in 1893, back when an English Sea Captain purchased a plot of land, naming it ‘Laira’ after the ship that traded around the Australian and New Zealand coasts. Afterwards, you’ll continue on to Naracoorte for the night. 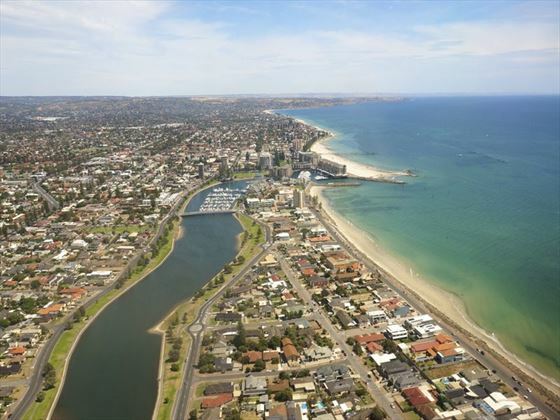 After breakfast, you will travel to the Fleurieu Peninsula to explore the seaside town of Victor Harbor, where you’ll have some spare time to take the horse-drawn tram to Granite Island, or head to the beach with a tasty portion of fish and chips in hand. 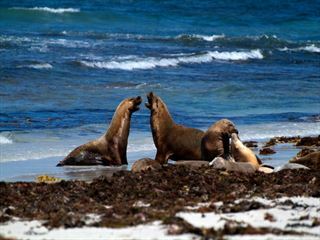 After lunch, you will hop on board a ferry at Cape Jervis, which will sail to Penneshaw on Kangaroo Island. Famous for its untouched, natural beauty and fresh local produce, your trip will begin with a visit to South Australia’s only boutique distillery to try some of the delightfully handcrafted premium spirits. The rich smells of citrus peel, botanicals and fennel that drift through the distillery are simply delicious, and you’ll love the Australia gin and liqueurs you get to try. 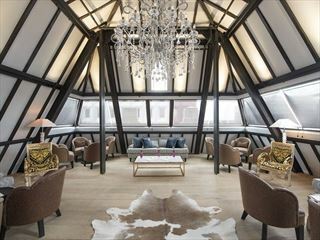 After a journey to Kingscote, you’ll have time to rest your legs. 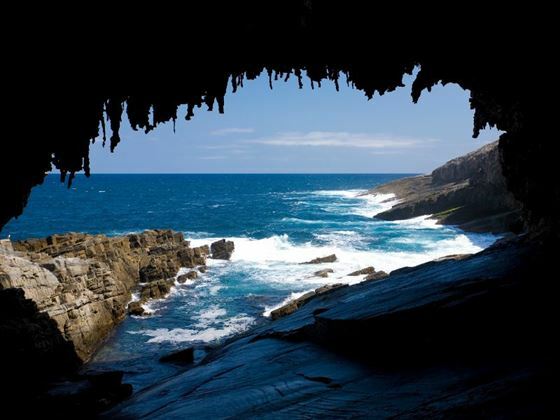 Day eight offers the perfect chance to explore everything Kangaroo Island has to offer. From the Remarkable Rocks and Admirals Arch in Flinders Chase National Park, to the adorable kangaroos, koalas and wallabies resting in the sunshine, there is plenty to see here. After a morning on exploring, you’ll join your fellow travellers for a delicious lunch at Andermel Marron Farm, a wonderful spot where you’ll enjoy a tasting of the farm’s Two Wheeler Creek wine and farm-produced bush tucker before tucking in to some marron. After lunch, you’ll join a ranger at Seal Bay Conservation Park for a guided walk amongst the sea lions. Breakfast and dinner included on day seven, and breakfast and lunch included on day eight. Your day begins with a ferry back to the mainland, before a journey to Adelaide. Once there, you will embark on an orientation of the ‘City of Churches’, and then the afternoon will be free for you to explore the city. Today is a great day for tasting The Barossa’s decadent wines. Start in charming Hahndorf, a lovely town adorned with tree lined streets and small shops, where you’ll enjoy wine tasting with a stand-out backdrop of sweeping vineyards. You’ll then wander to The Barossa for lunch at The Company Kitchen, serving up locally produced South Australian food. Here you’ll dine on two local wines, paired with canapes created with fresh local produce, and a main meal of your choice. The evening will be spent back at Adelaide, where you will have a last hurray with your new-found friends at the farewell dinner. Your tour comes to an end after breakfast, where you will be transferred to the airport for your onward flight. Save up to £475pp Book now and save up to £475 when travelling in 2019. Travel dates 16 Apr; 23 Jun and 15 Sep 2019.